British headphone manufacturer RHA is known for producing high quality headphones that deliver excellent sound, but with its more recent releases – namely the MA600i, in this instance – the company has tried to bring a touch of the luxury to the mid-range model. Priced at £59.95 ($89.95 in the US), the in-ear MA600i headphones come with six sets of different size gel ear buds to ensure you get the right fit and an in-line control that’ll play happily with your iOS devices. Those multiple sets of ear buds aren’t just for comfort either (although it does help); the MA600i units have been specially designed to eliminate the noise of the world around you, but more on that later. Also included in the box alongside the ear buds is a little carrying pouch for keeping the spare buds and the headphones together when not in use. There’s also a little clip for attaching the cable to your shirt or collar when you are wearing them, should you feel the need. At just around £60, the RHA MA600i have a lot to live up to from more expensive competitors on the market, but with aircraft grade aluminium construction they certainly look the part – and it also helps to create a better sound quality. Additionally, they also have a 320.1 dynamic driver which provides a mostly balanced range with a slight emphasis on bass, which is a particularly nice touch as RHA doesn’t always create custom drivers for new models. It seems to work too. The 600i buds provide great sound quality across the range for most of the musical and gaming uses I put them through. I was particularly impressed with how rounded the sound was, including the bass, which can’t always be said for in-ear headphones. While it’s not a problem per-se, people that listen to a lot of spoken word, podcasts or other vocal-oriented material might want to opt for something a little less bass heavy, though. Speaking of which, providing you choose the correct size ear buds the MA600i are really comfortable, with longer sessions not proving a problem. As mentioned earlier, the buds also help minimise noise around you; they’re not perfect, but do well enough to cut out most of the usual background noise you might expect while out and about – just don’t expect it to be a world of complete silence. The ‘i’ in the model name indicates that the MA600i headphones come with an in-line control designed to be used with iOS devices. Controls include a function button for things like pausing music or answering incoming calls – or double clicking to dial the last called number and a volume rocker. Even though they have been designed for use with iOS devices specifically, some of the functionality – although seemingly not volume control – worked on Android devices that were also tested with the MA600i headphones. One difference from other models available from RHA is that this particular set come with a dual-insulated, oxygen-free copper cable. What this means is it’s well protected and tangle-free, in the most part. I’m not a particular fan of how it makes the headphones look, but it’s personal preference and if the choice is between how the cable looks and it breaking, I’ll take the slightly less pretty version. 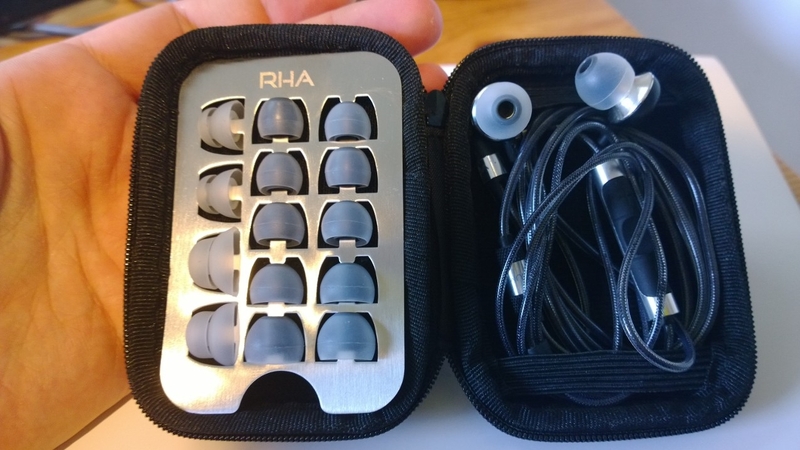 Overall, I’m impressed by the RHA MA600i headphones. Without straying into premium territory, they manage to provide a well balanced, yet bassy sound. It’s an achievement to get that level of bass performance from an in-ear set without compromising the rest of the range. Add in the fact that they’re pretty damn comfy too and come with an in-line control to save pulling your phone in and out of your pocket, then they start to look mighty appealing. 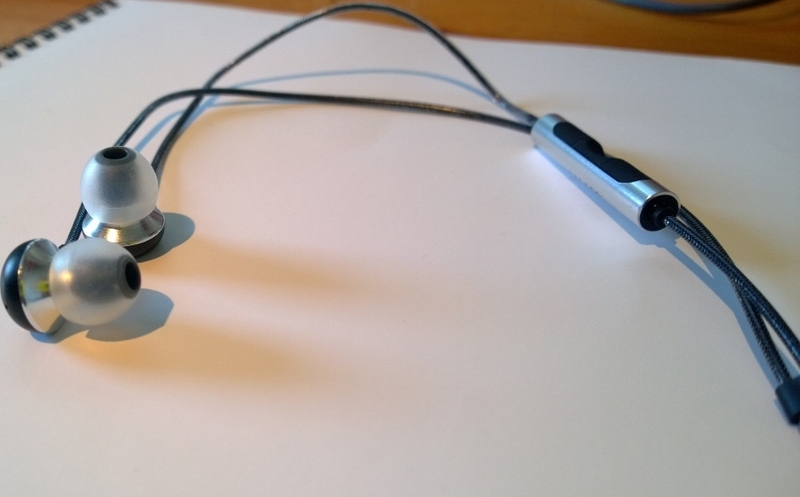 Are there better in-ear headphones out there? Almost certainly. Does the noise cancellation work perfectly? Nope, but it’s none too shabby, perhaps a bigger criticism would be that if there’s noise leaking in, there’s probably a little leaking out too – worth bearing in mind if you’re a commuter who likes to listen at full blast. But while they’re not perfect, the RHA MA600i headphones represent a great performance/value for money balance – it’s easy to fixate on foibles causing them to fall short of perfection in some way or another, but for less than £60 they’re worth keeping in mind.